New baby, a wedding, an engagement, and a vacation goes up in flames! Kate Winslet and her kids, Mia and Joe, are safe and sound after a fire burned down the home they were vacationing in! 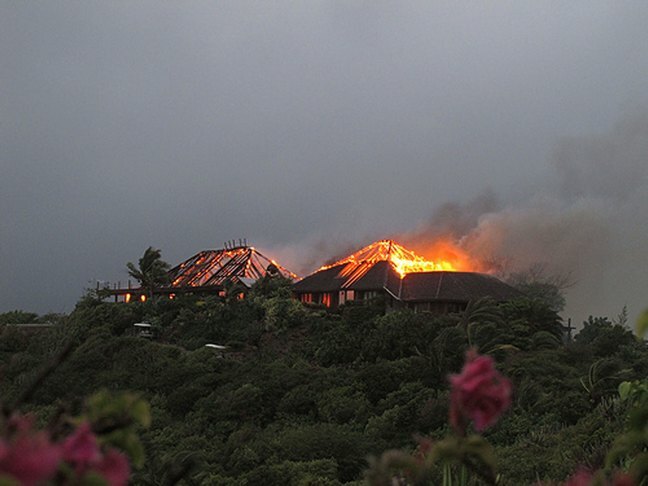 Kate was staying at Sir Richard Branson’s Necker Island with family and friends when the fire broke out around 4 a.m. They believe lightning is to blame for starting the blaze (see photo above!). Thankfully everyone is okay!